Our tough, corten steel 40 ft bolster sea containers are cost-effective, resilient and long lasting. Bolster containers are ideal for transporting heavy and oversized items – that do not require coverage – in a safe and secure manner. These Australian owned bolsters can be stacked 5 at a time on empty transport, without any issue on the turns, and transport up to 30,000kg. 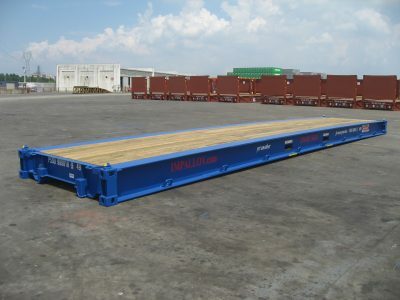 40 ft bolsters are best for large items that are unable to fit on the 20 ft bolster shipping containers. Our bolster containers are durable and certain for last for years.